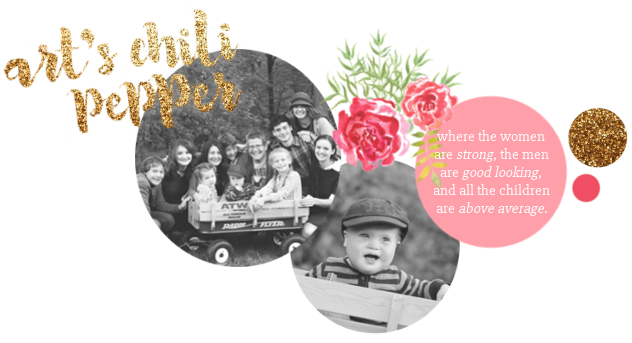 Art's Chili Pepper: Where Are The Men? Caution: This post contains a whole lot of griping. And here I would like to take a little bunny trail. I have developed this real pet peeve. Boys, who are old enough to be men, but yet can do little to nothing in the way of physical work and labor. Allen is a perfectionist. And he can do just about anything. He is truly one of the most able people I know. He doesn't like to hire people to do work around the house because it wouldn't be done the way he would do it. However, several times over the years he has hired young men to do work for us. Mostly, this has been in an effort to help out fellows trying to get a start. It is a great effort for Allen to allow someone else to be part of his projects. As much as it would be for me or you to let someone else work on our blogs. His projects are his. And yet, he has extended this offer to three young men in the last few years. We have seen an upsetting lack of training and character in all the fellows we have ever hired. And I am talking about the home schooled sons of strong Christian families. Several years ago, one started a job for us and never returned to finish it. Each week my husband would see him and he would say he was coming on a certain day and that day would come and go and the fellow would never call or show. In the case of that job we were on a very tight time table and were set back weeks while waiting for him. In the end, Allen put in some very late nights to get it done in time. Another gentleman was hired to do a job that he told us he knew how to do. We left him with a $200 gift card to Home Depot and went on vacation. We were gone for a month. We were told by my brother, who stopped by daily to feed the pets, that the job was started the day before we came home. And to make matters worse, the fellow we paid to do the job got someone else to do a large part of it. In the end, it was done so poorly that Allen will eventually rip it out and redo it. To add insult to injury, he knew the job was unsatisfactory and told my husband on at least two occasions that he wanted to come by and talk to him about it. To make sure all was OK between them. That there were no hard feelings. The gentleman never showed up! It will be a year this month. Fortunately, for our relationship with this fellow, Allen wouldn't know a hard feeling if it hit him in the face. Yet another young man, who graduated this last June, mentioned that his summer job fell through and he needed money for college. We told him to come by and we would find work for him to do. He told us he could do just about anything. But on his first day we found out he couldn't drive the lawn tractor. On his second week his father called to tell us that he wasn't allowed to use the chainsaw. Nor could he split the firewood. Or drive a car. He could not show up regularly because even though he was old enough to vote and join the military he did not have his driver's license. He had to count on his sister to give him rides. One week my husband had a load of pavers for the patio project in the back of the truck. Allen asked him to move them to the area where they would be laid. After a while, we heard an ominous crash. I could only imagine that it was some of those pricey tiles breaking. We waited but didn't hear from him so we figured that all was all right. Several days later, I was working in my garden when I saw a pile of broken pavers underneath the steps. I understand accidents happen. But a man should come and admit it and try to make restitution. Don't you think? At least that is what I am attempting to teach my sons. And Allen would have told him not to worry about it, anyway. To make matters worse, each week this fellow remembered to collect his pay but not to put away his tools. I actually told my dear husband that just as I charge the kids each time I pick up after them, I would charge this fellow if I had to pick up after him again. That's when he learned to throw away the trash instead of leaving it lay about the yard. Now do you remember the photo of Samuel and I waxing the car from my post yesterday? Well here it is. One week, Allen was looking for work to keep the boy busy for a day. His parents wouldn't allow him to chop the wood that needed cutting and stacking for the winter. He didn't know how to drive the lawn tractor. (By the way, even our Brianna could do this at the age of 13). At last Allen settled on having him wash and wax the three cars. It took the better part of two work days to finish the job. And when he was "finished" there were white marks all over the black trim that will not come off. And white splotches all over the vehicles where it was not buffed out adequately. And that is why Samuel and I were buffing out the cars. Samuel and I had to quit after a few minutes. I left the job in the hands of six year old Aedan and seven year old Nathaniel. Who did a fabulous job. When I came back to check on it a while later, I couldn't find a mark on the very shiny cars. Now even if we add their ages together they don't reach the years that this fellow has as a high school graduate of eighteen and yet they were able to do the job we paid this other fellow for. Chopping firewood, waxing cars and mowing the lawn are the very basics, in my opinion. Before we reached our teen years not only the boys in my family but my sister and I also were able to do these things. As well as change a flat tire and the oil in our cars, hold a job, drive a car and manage our own checking account and finances. What are these young men learning in their years of training? And why haven't they learned it yet? Why don't they know how to be responsible in a job they have taken on? Where is the pride of a job well done? Or the integrity to make right when you've made a mistake? To do the job you were paid to do? To see a job to completion? By the time my sons are old enough to go to college, vote, join the military and think about getting married (theoretically at eighteen) I expect them to be able to do the basic things necessary to care for himself, his home and his family. If not then we have failed as parents, home educators and, I dare say, even Christians. For if our sons aren't any different than those of the world, then what have we gained? What kind of example are we to those who are not raising their sons in the Lord? Just for kicks I will add that no suitor will ever get our blessing where our daughters are concerned if he can not show himself able, capable and rich in these character qualities that the average young man apparently lacks today. We have not given our lives training these young ladies to be, what I consider exceptional, to hand them over to someone who is anything less than extraordinary himself. And that is my little rant for today! 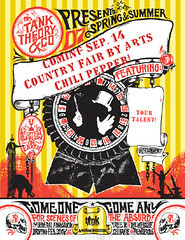 Now don't forget to click on the button below to read all about the country fair coming to Art's Chili Pepper September 14th! Amen, sister, amen! I so agree. My husband has worked and taught our boys from the time they were little to work hard. And my husband works them hard. They know how to build retaining walls, lay sod, lay shingles, mow the lawn, weedwack, and clean up after floods. Unfortunately, they are downstairs now, working on the carpet after our flood last night. But, what good help they are! And when I was sick being pregnant with my baby, the oldest two did all the cooking and most of the housework for months. Arranged marriages might be in order some day! JK of course. But, I do worry a bit about potential spouses for my guys. And my husband sounds a lot like yours: very handy, works hard around the house to make it a home for your family. Agreed, Agreed, Agreed! We have three boys, and though I have to admit, they at times try to pull the I'm lazy card, it doesn't fly! I have found that so many kids as you said, have no life skills. I am continually asking the Lord to help us raise mighty men. Men that honor Him in all they do because they know who they are in Jesus! It sure makes me think about our own 3 sons, and 2 daughters and how purposed and intentional we are in raising them to work diligently, effectively, practically, and purposefully and all unto the Lord. I'm not sure we are consistent, but this post reminds me to not falter. I appreciate this post, Kat. Have you ever read the magazine "No Greater Joy" by Mike and Debbie Pearl. There is a ton of wisdom in it, and this post reminded me of something he would write about. I can't believe all the times you have had to pick up messes or fix things for people that you paid to do a quality job. That is my beef too. If I pay you to do something...I expect it to be done right. That is what the payment is for. I am trying so hard to teach my kids daily that if you are going to do something than it needs to be done 100% not half way. So many kids are just lazy. But so are the parents because it takes to much time to show them the right way to do something. I hear ya. Oh man, what is it lately about a little hard work and sweat from these so called men. Even the so called professionals we have hired to do basic things like cut the lawn have required us to go through about 4 sets of them because no one can seem to cut the grass without leaving clippings all over the lawn, trim the dead roses off the bushes and edge the lawn not using the side of a weed eater. I mean what happened to taking pride in your work?? Even hubby has had to micro manage one of his employees because he refuses to step up, be a man, fill out his time sheet and insurance paperwork. End result? He got in a motorcycle accident one year after he started working for this company, obtained $16,000.00 in medical bills and had the nerve to email my husband why he didn't have medical coverage because he forgot to fill out the paperwork. He meaning said employee. He also said he didn't understand because he never told the company he didn't want it so shouldn't they just have added it for him? When will people grow up? It's called old school! Boys aren't taught how to respect and be respectful of others. Parents now are no more than glorified baby sitters that don't teach their children right form wrong. Because of that, the youth today could not tell you the difference between an Allen wrench is or Crescent wrench! I am the same way, as I could not hire a young man to do any work for me around the house as I know that I would have to redo the work myself. Technology unfortunately is also another contributing factor. Kids these days put way to much time into electronic gadgets that they completely miss how work on projects around the house by hand. Okay don't get me started either! Amen! I agree 100% with you. I, too am teaching my kids to do these basic tasks. Sadly, I've had regular experience of this. I was responsible for recruiting for a pretty well paid position that suited people starting out in the world of work or students but many of them couldn't get it together enough to put on a shirt (not even a tie) for the interview. Those that I did hire often didn't turn up, were late or did such a shoddy job we couldn't offer them a contract at the end of their probation. Most of these "young men" live at home, don't pay into the household, have mothers washing their clothes, making their dinners and goodness knows what else. It scares me how common it is. Both myself and my brothers had chores to do and we were expected to wash and iron our own clothes when we were old enough. If we were not in full time education we were expected to make a reasonable contribution to the household. Mum was happy to support us as long as we were studying. It set us in good stead, yes we made mistakes but we were able to fix them ourselves! I'm with you on the rant! My girls are all 5 or under and already pick up their own toys and clothes, make their beds and put away their shoes, help empty the dishwasher and many other household chores...they will know how to look after themselves! I agree with your post completely and wish that people in general would understand the importance of working hard and then if they did they would in turn teach their children but sadly, it seems to be fading! This is so true! It's one of my major pet peeves with todays' youth. The other one being the insane sense of entitlement most children have today. I loved this post!! I love your new profile picture...beautiful as you are. You need to jump in here and be writing more about that sweethearts of yours. I have been in a grand funk lately. Terribly missing 'home' ( MD ). And one of the reasons is almost this exact thing. I see the men that my daughters have choices of at this point in time around here and cringe. I know God has already planned out their futures, but I wonder..
Where are the GODLY men?? Praying for the revival in MANY families who have boys. Aw thanks, Kat! I read every day, and I have thoughts - lots of them - I just forget to write them down! Too busy keeping Ezekiel out of trouble... he's a going concern, that one! Amen, Sister! Not only do I agree with you, I, unfortunately, know most of the individuals you're talking about in this post. The part that jumped out at me is integrity. It's a discussion I've had with someone else I know about people and work. Even if no one is watching, and there are no ramifications, don't you want to be able to go home at the end of the day holding your head up high? Oh my! How sad! I feel so bad for these boys being sent out into the world without integrity and life skills! What were those parents thinking? !